We’ve just put the first of two John Clark sculptures on display! 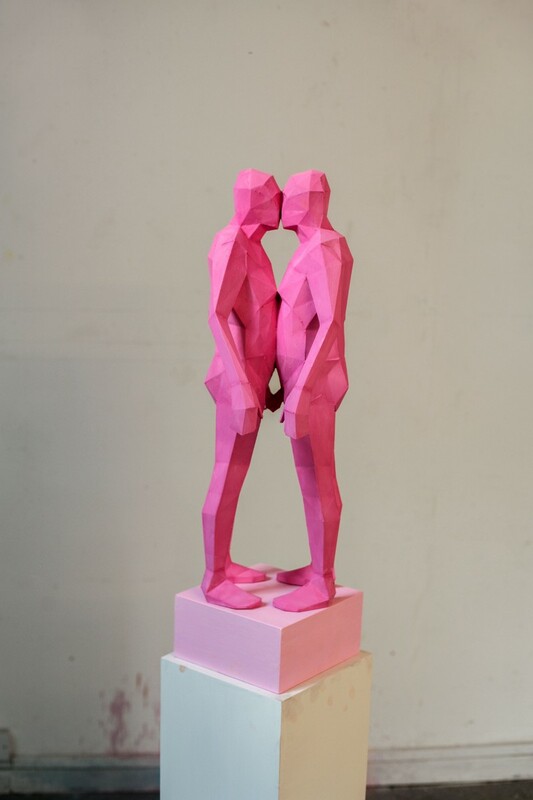 John likes to “paint and build people” creating eloquent figures which symbolises his creative imagination and as John says “Heads float in space, arms lie on planes, figures drift." 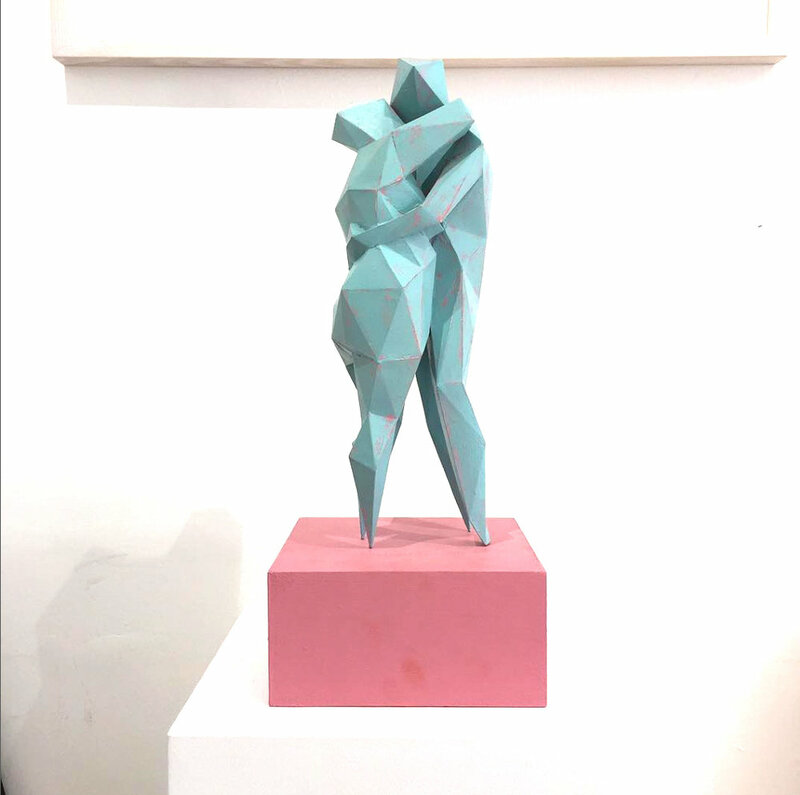 They're fun and vibrant bringing a dash of colour to the gallery, the first titled “Darling” (below) is a pastel green couple embrassing upon a rustic pink plinth. The second called, “Caught Sleeping" is vibrant red couple one of which is being lifted by the other. “ The technique used to build them is my own confection, combining pattern making, plotting and injection moulding. Each sculpture in an edition is finished with a variety of paints, pigments and waxes that are applied as if to a canvas. "